Most symptoms of a TIA disappear within an hour, although they may last for up to 24 hours. Because you cannot tell if these symptoms are from a TIA or a stroke, you should go to the hospital right away. TIAs are often a warning sign for future strokes. 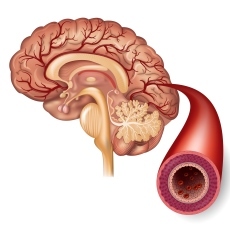 Taking medicine, such as blood thinners, may reduce your risk of a stroke. Your doctor might also recommend surgery. You can also help lower your risk by having a healthy lifestyle. This includes not smoking, not drinking too much, eating a healthy diet, and exercising. It is also important to control other health problems, such as high blood pressure and cholesterol.